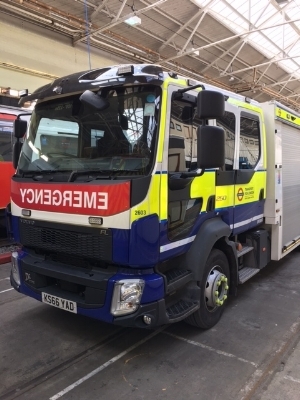 This is a unique opportunity for our members to visit London Underground's Emergency Response Unit Training Centre at Acton. This behind the scenes tour will give you a real insight into the role of the dedicated team of specialists that respond to critical problems and emergencies on London Underground. As well as train breakdowns this can include major incidents such as derailments, passengers on the track and terrorist attacks. You will learn what's really involved in responding to a rail emergency, get to see the equipment carried in the emergency response vehicles and, hopefully, get a glimpse of training in progress. Real enthusiasts might even get the chance to get underneath one of the trains in the training area and experience what it really feels like to be part of a rescue team. We have just 12 places available on this tour and we expect demand to be high. So, if the event is over-subscribed we will hold a ballot for places. Some PPE can be provided but priority will be given to members who can bring their own PPE – a high vis jacket and suitable footwear. If you require PPE, can you please give details on the registration form. Please note that this event is for Women in Transport members only. To find out more about becoming a member, please visit our membership page.